The practice of importing and exporting wild animals as pets has been happening for decades, and often, entertainment fads determine which wild animals are the pets du jour. For example, exotic turtles grew in popularity in the 1980s thanks to the popular television show, "Teenage Mutant Ninja Turtles." Everything from the smallest reptile to a full-grown tiger can be sold to anyone for the right price. However, most owners don't realize the huge responsibility they are inheriting when they purchase exotic pets, and there's rarely a happy ending for the animal. Just how does the exotic pet trade work, and what happens to these animals when the novelty wears off? According to the Humane Society of the United States (HSUS), the exotic pet trade is a multi-billion dollar industry, second only to drugs and weapons on the black market. It's a $15 billion dollar business in the United States alone, with breeders and dealers selling animals over the Internet or in trade magazines. Millions of animals are forced into the exotic pet trade every year for the purpose of becoming someone's pet or entertaining the masses in a circus or roadside zoo. While some wild pets have been bred in captivity, many exotic animals are plucked directly from their native habitats. The stress of being violently removed from their homes causes some animals to die before they ever reach a private residence. The American Society for the Prevention of Cruelty to Animals (ASPCA) reports that infant animals are the most desirable and earn dealers the largest profits. Poachers will often kill the protective mother first so that it's easier to capture the young. Although baby animals might be cute and easy to maintain, they usually grow into dangerous adults with unmanageable needs. The ASPCA explains that many exotic animals will travel several miles a day in the wild, so life in a domestic environment isn't going to satisfy their natural desires. Additionally, as exotic animals grow, their needs for food and space increase -- sometimes astronomically. When it gets to that stage, the once-loved pets often end up in cages where they are neglected or abused. The HSUS reports that it's not unusual for exotic pets to be malnourished and stressed; they also tend to develop behavioral issues that can lead to bites and attacks. Owning an exotic pet comes with some real health implications, too. According to the HSUS, all reptiles and amphibians carry salmonella, and more than 74,000 cases of salmonella poisoning are linked to these pets each year in the United States alone. Exotic pets like monkeys and African rodents often carry viruses like herpes B, monkey pox and rabies, all of which are highly infectious and potentially fatal to humans. There's also an important environmental factor to consider. Removing wild animals from their natural habitats -- like the rainforest or African plains -- negatively affects the delicate ecosystems, which, according to the ASPCA, rely on those species to further the life cycle of plants and keep animal populations in check. There are several federal laws that prohibit the selling and interstate transfer of certain exotic animals in the U.S. These include the Captive Wildlife Safety Act, the Wild Bird Conservation Act and the Endangered Species Act. 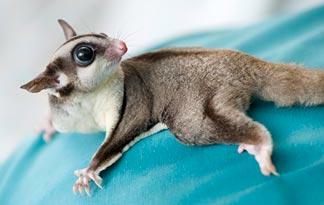 Additionally, many states have restrictions on the ownership of exotic pets. According to the ASPCA, these laws vary greatly from state to state and can range from total bans to simply requiring a permit. Globally, the Convention on the International Trade in Endangered Species of Wild Flora and Fauna regulates the import and export of endangered species. In a slightly different vein, animal welfare organizations like the HSUS have established groups like the Species Survival Network to promote wildlife protection and educate the public about the dangers of exotic pet ownership. However, despite these laws and humanitarian efforts, the exotic pet trade is still a booming business.